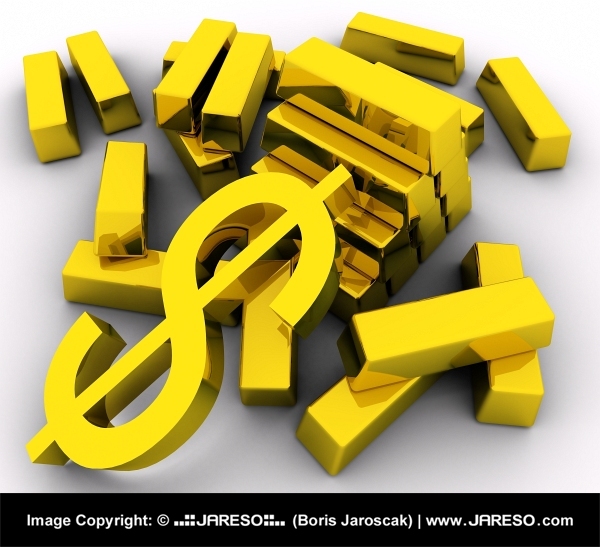 In this illustration you see rich bars of gold along with a huge 3D dollar sign partially sitting on top of the bars of gold with the bottom half of it resting on the plain white surface. 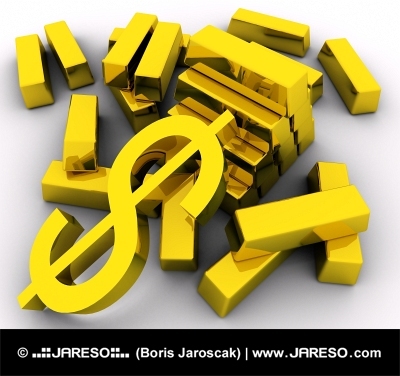 The dollar sign is the currency that is used in America to buy goods and to pay for other things that are meant to help people to stay stable and make a living. The dollar currency is also traded with other currencies around the world as well, like the Euro currency which is the currency of the UK. Would you like to use this thumbnail graphic with the maximum size of 600x547 pixels on your web site and online projects for free of charge? You can do so without any worry and completely legally. The only prerequisite is placement of an active (clickable) link back to this site (jareso.com) somewhere on your website where this photo will be used. By downloading this free lower resolution image in the thumbnail size of 600x547 pixels you absolutely agree to use it in comply with copyright law and required rules.